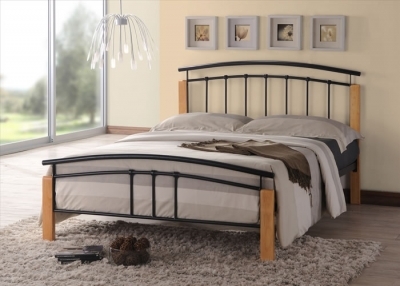 The Time Living Tetras bed frame is obtainable to buy in a standard single, small double, double and king size. The tetras frame is constructed using a strong metal then light beech corner post are featured, a black paint is then added to complete the modern look. 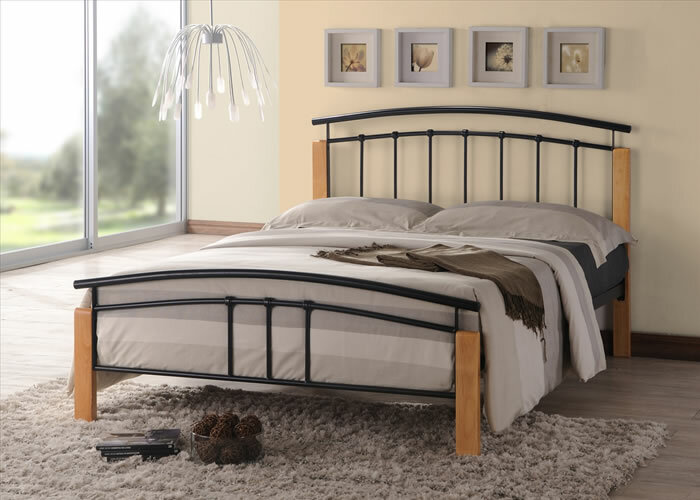 The pattern on the high head bored and low foot end is of a effortless curved and lined detailing.The comfort aspect to the bed is a sprung slatted base structured to support a standard UK mattress.